This entry was posted in Uncategorized on August 15, 2018 by Mike Nash. 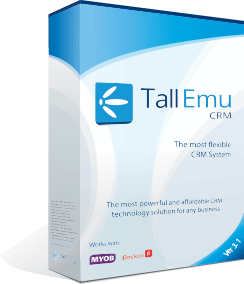 Quite a few of our customers run projects and tasks in CRM, and this module has been given a bit of an update in the latest version of Tall Emu CRM version 4. Templated projects with many stages. First of all – we’ve added different types of projects, and each type of project can optionally have different stages. It means that there’s not a one-size fits all approach for deciding what stages to use in your delivery process. We quite often see clients using whiteboards with columns drawn on; or paper files clipped in groups on the wall for customers to visually see where projects are at. Taking a leaf from our Web CRM, we’ve added a KanBan style project view to version 4 CRM. The projects can be dragged from stage to stage (it updates CRM) for a real intuitive way to see what stage open projects are up to. 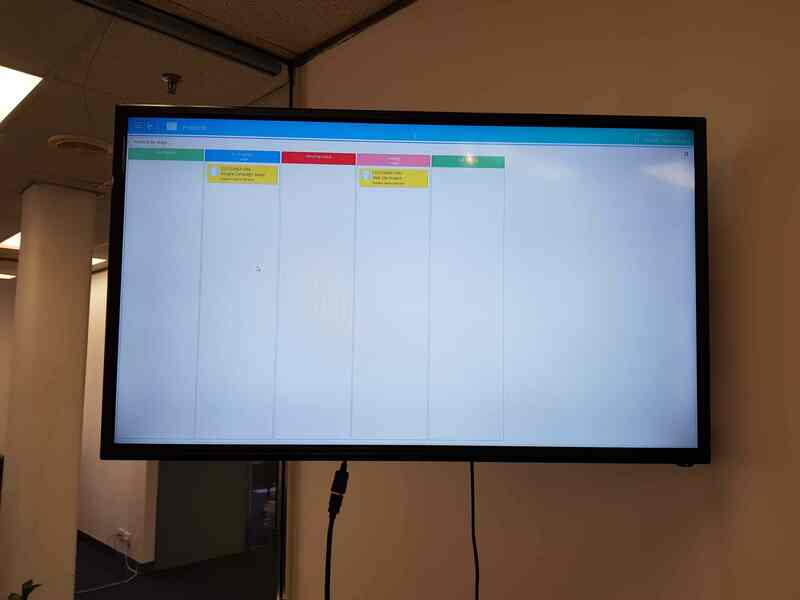 When run on a flat screen TV, the view gives you an easy to digest summary of project status without having to move magnets around or draw on white boards. As the project status changes in CRM, the display will refresh and update automatically. Template projects and Tasks makes it quick and easy to generate projects to track and manage the delivery of your projects. Templates help to save project managers’ time, provide consistency and enforce standards. Define your project types – you can have as many types of project as you like. Create template tasks for each stage. You can now create a new project, manage it through stages and all tasks will create automatically in the right stage. Aside from automatically creating tasks, when a task gets (or doesn’t get) to a specified stage, we can trigger actions. When a task falls overdue. Email the responsible person that their task is ready to start. Email the project manager when Tasks complete with a report showing the progress of the project. Alert the project manager when Tasks are overdue. Email a customer when a Task is complete to show progress. Email a customer with reports. Run a process to create and send invoices when Tasks are in progress. It’s now possible to make a template set of tasks in CRM which can be created when a product is sold. This allows you to automatically create a set of tasks (with dependencies or child tasks) when the sales order is processed. If you have a large number of tasks, it’s possible to have them grouped for you into a project too. For example: You have a business selling cakes. A customer orders from you, and your normal process would be to make a task to make the sponge, and then a task to ice the cake. In Tall Emu, it’s now possible to have these tasks automatically generate based on the number of cakes sold. The tasks can then be managed in the Tall Emu Time tracker – with staff members ticking off tasks as they are done, seamlessly keeping everything up to date.